Frankie<3. . Wallpaper and background images in the Frank Iero club tagged: frank iero my chemical romance frankie itunes festival 2011 crashqueen. 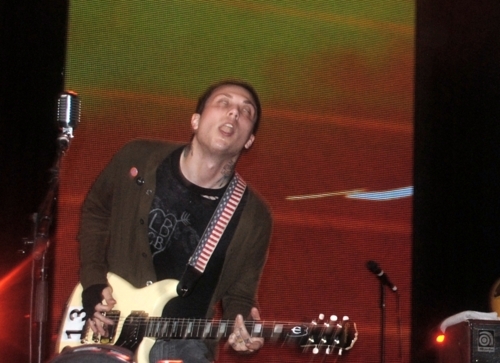 This Frank Iero photo contains konser, gitaris, and pemain gitar. There might also be drummer. hahah, his face looks soooo funny!